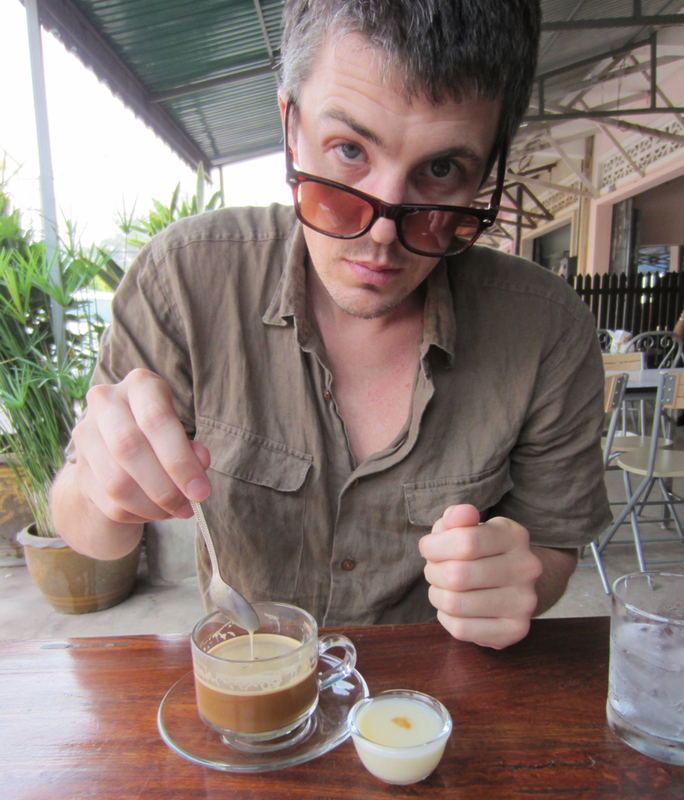 A few hours later I sat, caffeine wearing off and sweat building up, on a bus to Savannakhet. I stared out the window as the bus suddenly slowed down. Looking down at the battered pavement, I saw two goats lying dead. One’s head was barely attached. I turned away at the sight of the blood, the flesh, and the bone. The bus stopped in a small village. Swarms of people with food on sticks entered the bus trying to sell drinks, fruit, chickens, anything they could. I declined all I was offered. As the touts left I watched a child with an egg on a stick. He carefully pulled the shell off and took a bite. As I suspected the egg contained a partially developed chicken fetus – a delicacy in the area. I watched with a sour look as the young child ate half the egg. The second half fell off the stick to the floor of the bus’ aisle. Without a thought, he picked up the half eaten, now filthy, fetus-filled egg and popped it into his mouth. I sat back in my chair, looked up at the ceiling, and scratched vehemently at my swollen eye.